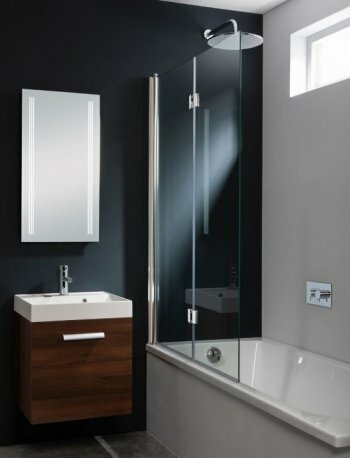 This Crosswater Design dual inward opening bath screen is perfect for creating a minimalistic look. The screen folds in half and then all the way flat to the wall when it is not in use which makes it easier to access your bath for that relaxing hot soak. With an overall width of 1060mm, this bath screen is sure to keep all the water inside your bath!